If you are an MBA aspirant and decided to get admission in top Business schools, it’s time for you to prepare for the entrance tests. In this article, we have made a dig in about the top most tests you can take for enrolling in a reputed B-School. Lend some time in knowing the top 10 MBA entrance tests which will be beneficial for realizing your goals. CAT is the most popular MBA entrance test in the country directed by IIMs. This computerized multi choice based with negative mark exam helps to take admission in management courses. Exam Pattern: 155 minutes computerized exam contains two sections, one is Quantitative Ability and Data Interpretation, other one is Verbal Ability and Logical Reasoning. Exam Syllabus: It is test with no predefined syllabus. However, it will examine the overall aptitude including Quantitative Ability, Logical Reasoning, Verbal Ability and Data Interpretation with about 60 questions. MAT is one of the largest entrance tests to join management courses and it is continuing as the passport for the students to over 600 B-schools across the nation. The test is directed by All India Management Association (AIMA) Govt. of India, Ministry of HRD approved MAT as a national level test in 2003. Any B-School - national or international - can consider MAT score as an admission input based on the Score Cards issued to the candidates. Graduates or final year students of graduate courses in any discipline can apply. Exam Pattern: candidates can either choose paper based test or compute based test for appearing for this exam. Exam Syllabus: The exam will test candidate’s knowledge in intelligence, logical reasoning, mathematics, language comprehension, data analysis and Indian and global environment with 200 multi choice question. XAT is an all-India entrance exam for admission to the postgraduate programs in management courses of several management institutes all over India. Conducted by Xavier Association of Management Institutes (XAMI), students can enroll to the postgraduate programs of more than 86 premium management institutes in the country using the XAT scorecard. Eligibility: Graduates or final year students of graduate courses from a recognized university or deemed university can appear for this exam. Exam pattern: Three-hour long exam is divided into an initial section of two hours and twenty minutes, consisting of multiple-choice questions and a final section of 40 minutes. Exam Syllabus: The exam will test the Quantitative Ability (Mathematics), Verbal Ability (English) and Data Interpretation/Logical Reasoning skills of students along with General Awareness through multiple questions and an Essay question. NMAT is an entrance exam conducted by Narsee Monjee Institute of Management Studies for admission to a range of MBA programs offered by the institute. The students can enroll to the programs offered in any of the branches of this institute, which includes Mumbai, Hyderabad and Bangalore. Eligibility: The candidate must be a graduate with 50% marks or equivalent CGPA in first attempt. Exam Pattern: Candidates can give answers to 120 questions spread across three sections in 120 minutes with each section has its own time limits. Exam Syllabus: Three separate section of exam will test the student’s skills in language, quantitative techniques and logical reasoning. Exam Pattern: Candidates has to answer 100 questions divided into four sections in two hours. Exam Syllabus: Questions will be divided in for sections that include Verbal ability, Quantitative and Reasoning ability and General awareness. IBSAT is an online entrance exam, which is conducted by ICFAI Foundation for Higher Education University for taking admission to the Master of Business Administration (MBA)/ Post Graduate Program in Management (PGPM). 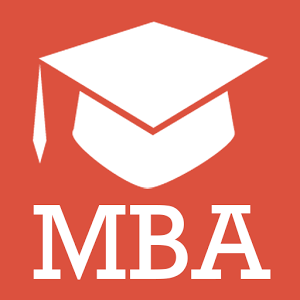 The MBA is offered at various campuses of IBS across India such as Ahmedabad, Bangalore, Gurgaon, Hyderabad, Dehradun, Jaipur, Kolkata, Mumbai and Pune. The candidate should be graduated in any discipline with minimum 50 percent mark. Exam pattern: Candidates are allowed to attend 125 questions in two hour without the tension of negative marks. Exam Syllabus: The exam gives priority to the student’s knowledge in English language. Along with that, it will test the abilities in quantitative techniques, data interpretation and reading comprehension. IIFT admission test is written exam conducted by Indian Institute if Foreign Trade, which is an autonomous autonomous public business school established in 1963 by the Government of India (Ministry of Commerce and Industry) to help professionalize the country's foreign trade management and increase exports. With the help of this exam, students can get an admission in any of the centers of IIFT, which are located at New Delhi and Kolkata. JMET is the first step towards admission to a full time postgraduate degree in management at the IITs. Currently IIT Bombay, IIT Delhi, IIT Kanpur, IIT Kharagpur, IIT Madras, and IIT Roorkee offer programs in management. Eligibility: Each IIT have their own eligibility criteria to admit the students. Exam Pattern: Three hour written exam consists of 120 questions and each question carry one mark and each wrong answer attracted a penalty of 0.25 marks. Exam Syllabus: Each of the IITs on a rotation basis conducts the exam and it will test the candidate's knowledge of mathematics, data interpretation, logical reasoning and English usage. SNAP is a common written test for the admission to all the Post-Graduate Institutes of Symbiosis International (Deemed) University. Students can enroll in to any of the postgraduates program providing by the 12 institutes, which are working under the name Symbiosis. Graduates in any discipline from any Statutory University with minimum 50% marks can apply. Exam Pattern: The exam has as many questions as the number of minutes allotted that is 150. Exam Syllabus: Student’s abilities in General English, Quantitative Technique, Data interpretation, General Awareness and Logical reasoning will be tested without any sectional cut offs. ATMA is a single-window entrance test to enroll students to the various management programs run by the member management institutes of the AIMS. ATMA has been approved by the Ministry of Human Resource Development of the Government of India for admission on All India Basis to the MBA / PGDM and other Postgraduate Programs like MCA. Candidates should have a Bachelor’s degree in any discipline from a recognized university. Exam Pattern: Three hours of computerized multiple choice exam has 180 questions. Exam Syllabus: The test has been designed to judge a management applicant from various parameters including his or her comprehension abilities, verbal reasoning capacities, analyzing and synthesizing capabilities and numerical reasoning abilities.